Sometimes a customer project just bowls you over! 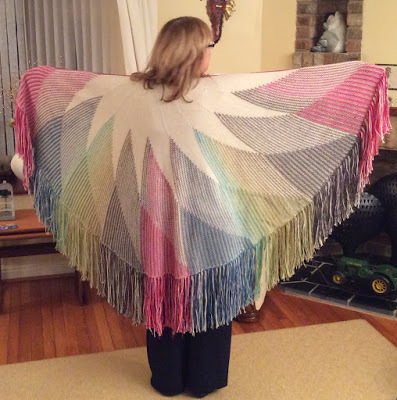 Sally shared a photo of this stunning shawl she made with us and we had to find out the story behind it. “I used Rooster alpaca 4 ply for the cream yarn, plus a variety of other 4 ply yarns from my stash for the pink, green, grey and turquoise segments. The variegated yarn is the Noro silk garden I bought from the shop last year, and the person who sold it to me was intrigued when I said I was going to use it on my knitting machine, as she thought it was too thick and “lumpy” for a machine. I explained I was going to knitweave with it, whereby the weaving yarn isn’t knitted through the latch needles, but is laid onto the surface of the work. The pattern is by reknowned machine knitting designer Iris Bishop. I have to say, the colour changes worked out more or less by accident, as the colours morphed through the Noro yarn to almost exactly match the size of the segments! We’re all fascinated by the idea of ‘knitweave’ and are hoping that Sally will bring in some more examples of her work next time she visits. Seeing our customers finished products always makes our day here at Spin A Yarn, so be sure to bring them in or send us photos! Arriving at Christchurch Airport in the early hours of the morning on Saturday, 16 May we went straight to the Airport Motel. In the morning, David walked back to the airport to pick up a car for the next leg of our journey down to Alexandra to visit Marnie, owner of Touchyarns, the Beautiful Yarn Company. 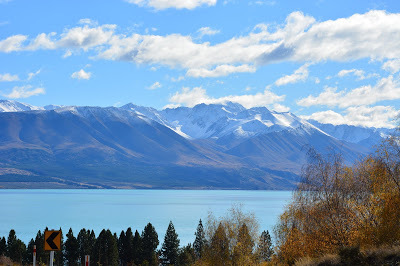 At this point I should say that New Zealand is a spectacular country and I couldn’t stop clicking my camera. 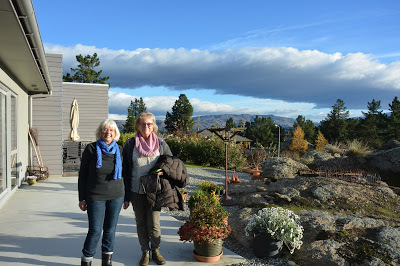 We arrived at Marnie’s and drove straight up to a spectacular hydroelectric dam at Clyde, on the Clutha River between Cromwell and Alexandra. Loved my photo of the cloud which looks like a giant whale! Marnie looked after us wonderfully. 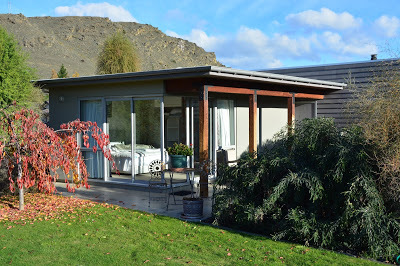 We were very spoilt with our own little guest house, next to her beautiful home in Clyde, Central Otago. 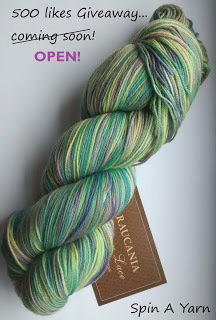 To celebrate the support of our lovely yarny friends on Facebook and reaching 500 Likes, we are giving away this beautiful skein of Araucania Botany Lace together with an Anniken Allis lace pattern. 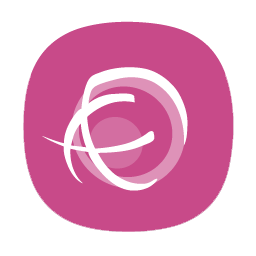 You can enter here, or thorough our Facebook page!